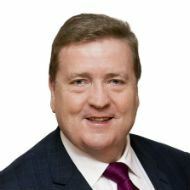 19 September 2017 – London, UK – Government Minister Pat Breen TD will open the first Datacloud Ireland conference in Dublin. The inaugural event held at Ireland’s iconic global venue, the Convention Centre Dublin is the latest chapter in BroadGroup’s pioneering series of networking and business deal-making events for the data centre and cloud industry. Minister of State for Trade, Employment, Business, EU Digital Single Market and Data Protection Pat Breen TD is to host the opening address of the one-day industry event, headlining an impressive roster of speakers including: Sheila M.FitzPatrick, Chief Privacy Officer NetApp, Zaid Ali Kahn, Senior Director, Infrastructure Engineering LinkedIn, Jennifer O’Sullivan, Deputy Commissioner Data Protection Commissioner and Prof Dr Michael Weinhold, Energy Management Division, Global Chief Technology Officer Siemens. Conference highlights include a special workshop covering GDPR, enterprise meetings and data centre tours. BroadGroup is an Information Media Technology and Professional Services provider and a member company of Euromoney Institutional Investor PLC. Established in 2002, the company has achieved recognition and growth through delivering quality research and insight across the IT infrastructure sector. Its Data Centre and Cloud practice is the market leader in providing commercial due diligence, research and analysis for the sector. The company’s events portfolio brands include Datacloud, Datacloud Awards, Data Economy, Finance and Investment Forum and Dark Fibre Convention which deliver high quality international networking and business opportunity events.